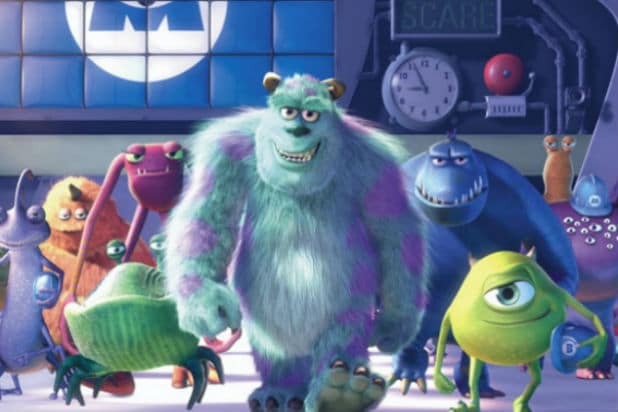 Disney has ordered a “Monsters, Inc.” TV series for Disney+ that will see John Goodman and Billy Crystal reprise their roles as Mike and Sulley. “Monsters At Work” follows Tylor Tuskmon (voiced by Ben Feldman), an eager and talented young mechanic on the Monsters, Inc. Facilities Team (MIFT) who dreams of working his way up to the factory Laugh Floor to become a Jokester alongside his idols Mike and Sulley. Alongside Feldman, newcomers including Kelly Marie Tran, Henry Winkler, Lucas Neff, Alanna Ubach, Stephen Stanton and Aisha Tyler. Original voice actors who will return from the films also include John Ratzenberger, Jennifer Tilly and Bob Peterson. The series will premiere on Disney+ in 2020. “Monsters at Work” is produced by Disney Television Animation. Bobs Gannaway will executive produce with Ferrell Barron on board as a producer. Kat Good and Rob Gibbs will direct. Released by Pixar in 2001, “Monsters, Inc.” grossed $577 million at the global box office (nearly $290 million domestically). A prequel film, “Monsters University,” which followed Goodman and Crystal’s characters during college, was released in 2013 and grossed $744 million globally and $269 million domestically. Disney will formally unveil Disney+ — the company’s streaming competitor to Netflix — on Thursday during an investor event at its Burbank, California studio.